We have jumped into 2017, and it is time to start planning what style of pool you would like to jump into at your home this year. While it may not be pool season now, the cooler months are the perfect time to start planning ahead for the pool you want at your home this summer. Like fashion, cars and pop-culture, pools go through different trends. Let’s discuss 2017’s hot new trends for cooling down! The vanishing edge pool has been on the rise for quite some time and is definitely still climbing in popularity. 2017 will most likely see a summer of vanishing edge pools. This style is clean and sleek, with water gently falling over the edge into a catch basin that gives the pool the illusion of merging with the horizon. Vanishing edge pools are commonly associated with resorts, but are an excellent addition for a home with a beautiful view, making every swim a surreal, dreamlike experience. Pools that place more of an emphasis on all-natural cleaning are another common trend. These eco-friendly pools don’t use chlorine or other caustic chemicals. Instead, sand filters and plants are used to eliminate bacteria and keep the pool clean. These spaces are more like a natural lake or river, but if you’d prefer a more natural approach that still offers the pool experience, ozone and UV technologies can also be utilized to keep your pools clean and less dependent on chemicals. A very new and popular trend is the beach-like pool. These pools feature a sloped floor, providing an entry that’s more like walking in from the shore at a beach. Not only is this gradual entrance safer for young children, it also creates the sensation of entering a tranquil ocean or lake. These pools can even be upgraded to include actual sand, creating the ultimate beach experience in your very own backyard. Pool styles are always changing and it is always wise to keep up with the most up-to-date trends, and 2017 is sure to bring some of the coolest and most elegant pools to date. If you need a pool custom-built to fit your needs and space, Crites Custom Pools can work with you to create the pool of your dreams. 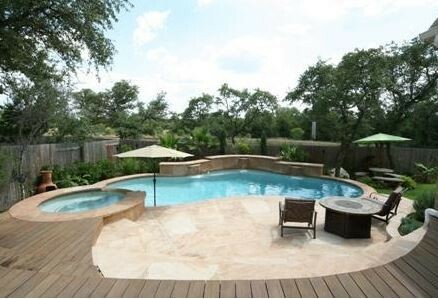 Get started on planning your new pool today by giving us a call at 512-759-2630.